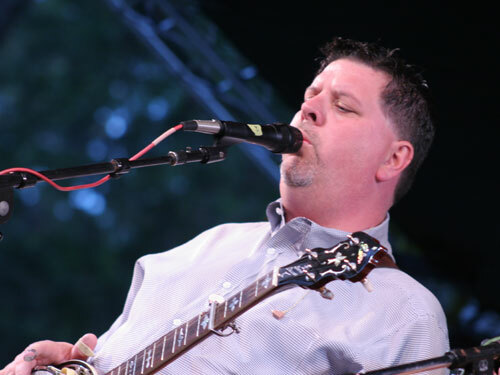 IIIrd Tyme Out have issued a media release this week citing the departure of Steve Dilling (banjo) after 21 years with the band. Steve has announced this week that he has given his notice to band leader Russell Moore. We understand that while this decision has been a difficult one for Steve, it has been dictated largely by health reasons. Life on the road is a particularly difficult one for travelling bands and IIIrd Tyme Out has toured frequently over the years. By now, you’ve most likely heard the news that Steve Dilling has decided to bring his time as a member of IIIrd Tyme Out to a close by officially turning in his notice. I wanted to take a minute to send a public ‘thank you’ from myself, personally, in regards to Steve’s tenure and time spent with me, by my side for 20 years, night after night and mile after mile. If you look at bands this day in time, for members to stay in one band for 20 years is almost unheard of. In my opinion, the key component for that to happen is a direct result of the relationship off the stage, not just on the stage. Looking back over the last 20 years with Steve, I could sure write a book of memories, stories, experiences, good times and bad. It takes a special personality to stand by you and stick with you through all of those moments. Like any relationship in life, there have been battles we have had to overcome and celebrations we have relished in. Some situations you hope to never face again, and some victories you never dreamed of reaching. Our time together has been an amazing journey and Steve’s support and dedication to this band has been a critical piece of every one of those happenings. I want to thank Steve for his support to not only IIIrd Tyme Out, but to me personally. He has always believed in me as a singer, a band leader and a friend. For those of you that know me beyond music, you know the friendship aspect is as critical as any other part. This world is full of talent, but finding people that are equal in personality and talent is becoming harder to find. I appreciate, and could not be more thankful for, Steve’s friendship and team work. He will always be a IIIrd Tyme Out member as far as I am concerned and he, more importantly, will always remain one of my best friends. Not only will the music of IIIrd Tyme Out carry on, but so will our friendship…….and that means the world to me – Russell Moore.